Hey, young bloods! 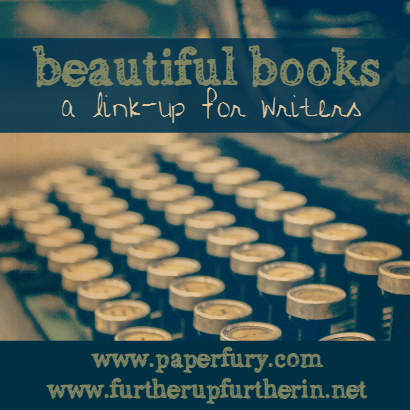 Today, I'm joining forces with Cait and Sky to bring you Beautiful Books, a linkup dedicated to discussing your WIPs. This month's BB is about your 2017 writing goals and resolutions - so, without further ado, let's get into the questions! 2. What's on your writerly to-do list for 2017? The main thing is definitely finishing Karissa Goldlock's Guide to (Almost) Utterly Everything. I'm pretty close to finished with that, however, and what will come after that is pretty up in the air. A couple things I hope to do are continuing to overhaul Death of the Skies and picking Heaven Bleeds Fire back up. I do also have a couple new novel ideas brewing - they're just in embryonic stages, though. 3. Tell us about your top priority writing projects for this year! How did I survive, you might ask? And how could you, a fellow adventurer, embark on such amazing quests of your own? Well, friend, read on to find out! One more time, for the people in the back - my name is Karissa Goldlock, and this is my guide to (almost) utterly everything. As Karissa touched on there, the main characters include Karissa herself, the bookish Prince of Aerofell, a half-demon pirate who loves cooking, and a human pirate who rules the Spellbound Sea with an iron fist. 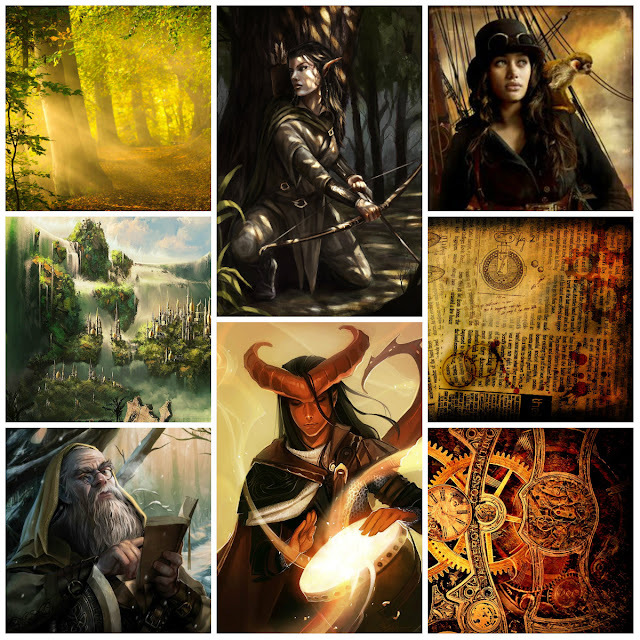 The steampunk prince (Ari) gets captured by the fae, and Karissa and the pirates are employed by the Queen of Aerofell to get him back and prevent war. 6. On a scale of 1-10, how do you think this [your most recent] draft turned out? Oooh, I'm actually pretty proud of how Karissa Goldlock's Guide to (Almost) Utterly Everything is coming? I'd say like a 7-8? The timeline, lmao. That thing is in shambles. I love the banter between the characters/the humor in this book, honestly. Their snark is my life. The "her" referred to in the following excerpt is Queen Genevieve of Aerofell, Augustus's wife and Ari's mother. 9. What are your plans for this novel once you finish editing? More edits? Finding beta readers? Self-publishing? Hiding it in a dark hole forever? 10. What's your top piece of advice for those just finishing a first draft? Give it time if it needs it; jump right into editing and get it done if it doesn't. I have lots to do this year too. Good luck with your writing goals and have a great day! Your WIP sounds interesting! Witty banter is everything-- it's one of the things that helps bring the book to life. xD Tumblr hasn't changed their layout, I think, unless you're on mobile-- if you're browsing through and searching for things throughout the entire server itself, then that's when you'd need the app and an account. As for my writing feats, I would love to enter more competitions, because college is hard work and very expensive. Every little bit is going to help! your story sounds wild. lol. best of luck with your 2017 goals! you got this! i came over from Paper Fury. I must ask to be your beta reader or at least a book reviewer. Pretty please? Sure! How can I contact you once the book is finished? "I imagine the first was to marry you?" I always love your writing posts. Your books just sound incredible. If you ever need anyone to fangirl incessantly, then you know where I am. Heaven Bleeds Fire sounds like gorgeous perfection! *flails* And, ohmygoodness, I was so excited to find that someone else likes editing too!!! So far, I thought I was the only one. :) Also those aesthetics!!! *collapses with admiration* Sooooo preeeeetttyy!!!! THANK YOU SO MUCH. Your comment just made my night!